A grim and emotional story set in medieval France. Publisher Focus Home Interactive and developer Asobo Studio have released the E3 2018 trailer for A Plague Tale: Innocence. A Plague Tale: Innocence tells a grim and emotional story, sending us on journey through medieval France, with gameplay blending adventure, action and stealth, supported by a compelling, moving story. Follow Amicia and her little brother Hugo, trying to survive a harsh, brutal world plagued by the Black Death. On the run from the Inquisition, and surrounded by unnatural swarms of rats that appeared with the Black Death, Amicia and Hugo embark on a rocky journey that will not leave them unscathed. 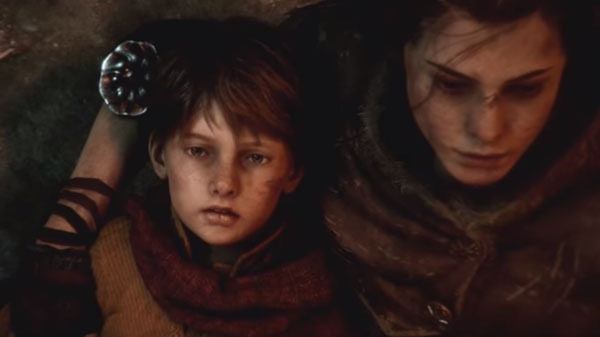 A Plague Tale: Innocence is due out for PlayStation 4, Xbox One, and PC in 2019.